Oxtopus is more than a mere router as it offers 12 different settings by enabling/disabling : its 4 ports, the Wi-Fi and Ethernet switches. Occitaline doted Oxtopus with very carefully studied functions, sometimes unique on the market to satisfy your field needs. Oxtopus is collecting, sending, centralizing data in order to keep you informed in real time how your system is operating. Oxtopus is interfacing with LonWorks, BACnet and Modbus protocols to reduce integration time as only one set up is required on the supervision level in case of adding or replacing a device. Effortless, the operators do not need any bridge between devices or between brands since it is already integrated in the router. The front of the router says it loud and clear: Oxtopus gives a DEL status diagnosis of impedance for each port. In addition, you can read the whole statistics on the embedded website from any mobile device (PC, tablet or smartphone): real time graphs, raw or combined-cross data. If diagnosis indicates bandwidth use and CRC failure ratios, it also measures lines impedance permanently in order to watch over good electrical conditions of use. Oxtopus is the only router that measures impedance, and it does it permanently on each Lon/Modbus port to detect any beginning of system failure and cure it as a preventive measure rather than curative measure after inoperative system. Simply turn the Wi-Fi on to easily log onto the router's IP address and join the network. A wizard assistant helps you to set up the installation step by step. You can choose your own configuration with an internal switch on both Ethernet ports: easy connections of devices on the router to make a daisy chain or connection on a local PC. 2. It is also another access point to the router's diagnosis and enables to set up the router with a PC, a tablet or a smartphone wireless, which is more than convenient in a building site. 3. Wi-Fi is also at stake in network security: activate or deactivate it to restraint distant actions as only one connection at a time is authorized. Finally, Wi-Fi can connect routers one to another: a router can be configured as an access point and the others as proxy/wifi or “simple wifi device” connected to the network. Occitaline has developed Ox-core, a standardized hardware platform intended for BAS solutions manufacturers who want to offer modern, fast, communicating and simple-to-use products. Occitaline offers its expertise whether to adapt the existing technology to meet manufacturers' needs or to develop OEM products for them. Linux processor treats data and updates devices. A real time core deals with more accurate tasks while treating a great number of devices. An extremely precise clock treats data in less than 1 second to correlate in time several data acquired on several devices or several routers. You can chose to commute the switch: either to connect in series or double IP to have either a double Ethernet or an embedded IP router configurable on a web server. SD card updates the core, stores data and represents a large, non-volatile memory space available. You can remove it from the core to read data on a PC without any coding in case of power cut. The router records data base in RAM and then stocks it on the SD card. You can connect a Wi-Fi key or any other USB device (for instance storage USB device). Enables communication between acquisition channels and the network receiving data. It is easy to log onto the network and collect data locally. In order to easily plug a tablet, smartphone or USB key and collect complementary data. It is possible to turn it into power supply. In order to answer a great range of needs and to ensure the router is operating even in case of connection errors. It is also protected against overvoltage. Is made for configuration and exploitation. It gives the user a modern, responsive technology with embedded lite framework, jQuery library to display graphs and forms adapted to tablets, smartphones and PCs. L'Ox-core was designed with very open web, hardware and OS technologies to cover a very wide range of needs. This Ox-core base is meant to be adapted to a great number of applications receiving all GTB protocols: BACnet, KNX, LonWorks, but also any other protocol such as Profinet for analog acquisition and measurement; IB+ or DALI for light management; Mbus for supervision, etc. Occitaline is on top of 20 years of experience, training, field expertise investigation and development in Building Automation Systems (BAS) for distributed architectures using normalized communication protocols. After Newron System success, Daniel Zotti logically creates Occitaline as the heart of new BAS generation products: easier to use, cheaper, communicative and moving forward to diagnosis, which is so crucial in BAS. 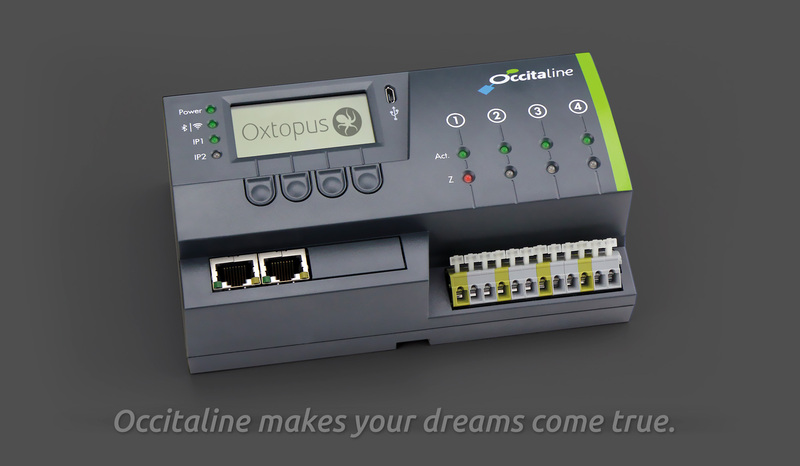 Occitaline developed on the Ox-core base a whole range of new generation LonWorks routers to satisfy customers' needs and to go further with new, innovative, sometimes unique features on the market to offer great adaptability in everyday use. Conception care in the choice of each feature as well as global thinking around routers make those routers major innovations for the market. Occitaline claims the will to develop products centred on the user's simplicity, comfort of surveillance, multiprotocol and diagnosis support. Based in Toulouse, South West of France, Occitaline proudly represents the Occitan region where were born and grown competence hubs that became spearheads for the whole country: aeronautics and pharmacology. Occitaline shares the same values of technical innovation, excellence and reliability. After his engineer graduation at ENI Brest, Daniel Zotti began his career in Bendix Automotive (today Siemens Automotive) where he was in charge of operational tests means in automotive production lines. He became familiar with measurement, metrology, IT, exploitation system UNIX, networks and Oracle database. Then he passed to supplier's side and joined a services company where he managed the advanced technology pole. In 1994, the American company Echelon set up LonWorks protocol, first open and programmable field bus used in Building Automation Systems (BAS). Daniel Zotti became the French instructor for Echelon and trained the first generation of LonWorks products developers, he also trained solutions integrators and manufacturers for the 20 following years. 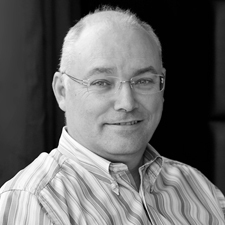 In 1993 he started Newron System, a company that became a worldwide reference in GTB software solutions using LonWorks (KNX and BACnet afterwards). The very same year, he co-founded the association LonUser France (today Lonmark France) with Didier Tymen with the objective of federating and animating LonWorks actors around the possible ways of commercial and technical developments. For the last 12 years, Daniel Zotti has appealed all over Europe to carry out expert's reports on buildings using LonWorks technology, gathering a unique, global vision of issues in network infrastructures. In 2013, Occitaline creation was the logical step of his technical and commercial work: both using knowledge and experience to imagine and finalize the new generation of infrastructure products intended for BAS networks. 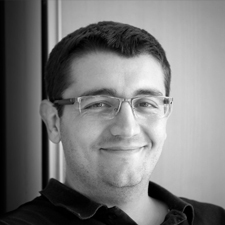 After he graduated in electrical engineering & industrial IT, embedded systems, automation in operating safety and real time systems, Jérémy Esquirol went to Quebec to develop control products for home automation. Back in France, he became software developer for Newron System and took part in embedded platforms development over Linux. After a mission at Sogeti High Tech to work on flight controls software tools for A330 aircraft (under DO-178C standards) he joined Occitaline as project manager to develop Occitaline's core and by-products: coordinating embedded softwares development as well as adapting Linux core on the whole range of products. 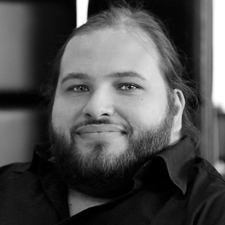 Julien Amar graduated in electrical engineering & industrial IT, with a major in smart systems. He moved towards aeronautics and works on realism in flight simulators at Supaéro (a school specialized in aneronautics). He joined Thalès Avionics to develop test interface for European project SESAR that secures aircrafts communications as they approach airports. Then he worked for Aéroconseil to develop simulation core of their own simulator before he joined Occitaline team to develop Ox-core embedded software. After Initial Training School in physics, technology and engineer's science, Sourinia graduated Toulouse INSA engineer school. During her internships, she develops embedded softwares for Celians and electronic boards aimed at photovoltaic modules for a start-up in Ireland. Sourinia starts her career in a design office in industrial electronics and IT before being entrusted with managing the development of test benches by Tunisian teams for Actia. 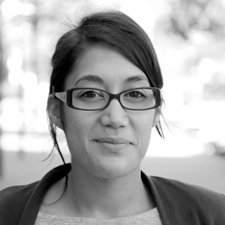 She joined Occitaline to conceive software and hardware designs, prepare products industrialization and qualification.